When the Combahee River Collective gathered in 1977 for their annual retreat, the Black feminist thinkers, writers, and scholars decided to write a statement of intentionality. The exclusion of women of color from Lesbian Art and Artists, a feminist art journal organized by the Heresies Collective, prompted the response. The collective’s statement explored the erasure of Black women in the Women’s Movement and the Black Liberation Movement. More importantly, the Combahee River Collective pushed for the visibility of Black women. Forty years later, Black women are still fighting to be seen. That’s the theme woven throughout “We Wanted a Revolution: Black Radical Women, 1965–85,” an exhibit currently housed in the Brooklyn Museum. It’s one of the final parts of the museum’s “Year of Yes,” a year-long commitment to exploring feminism through art. The exhibit, like Solange transforming lives at the Guggenheim, allows Black women to center ourselves in spaces that pretend we don’t exist. “We Wanted a Revolution” also serves as a course correction. A sign at the entrance of the eight-panel exhibit states that many of the artists included aren’t feminists because of the movement’s exclusion of Black women. The dovetailing of second-wave feminism and the Black Arts Movement merely serves as a historical map of the figures and organizations at the forefront of the exhibit. It’s a push to make Black women visible. For instance, Emma Amos, the sole female member of Spiral, a Black artists’ collective, is featured at the beginning of the exhibit. Flower Sniffer (1966) is Amos’ self-portrait, which shows her looking at a couple who are in mid-embrace. She’s in the photo, but not of the world it inhabits, a clear indication of how Black women were positioned at the time. We were peripheral, invisible, and overlooked. Invisibility continues to be a theme as the exhibit progresses. Artist Faith Ringgold is prominently featured throughout the eight-panel exhibit. In 1970, she and her daughter, Michele Wallace, forced the Whitney Museum of American Art to include two Black women artists—Betye Saar and Barbara Chase-Riboud—in their Sculpture Annual for the first time. Now, the Brooklyn Museum is honoring Ringgold’s struggle for equity. Her oil painting For the Woman’s House (1971) shows an array of women at work. Female inmates at Rikers Island used to be able to purchase the painting, though the jail later banned it. Just as she advocated for Saar and Chase-Riboud, Ringgold created the painting to honor Angela Davis, after she was arrested for a crime she was later acquitted for. The ways that Black women have historically fought for each other shows up in the exhibit, like the inclusion of Carrie Mae Weems’ photo series Family Pictures and Stories (1978–1984). It depicts Black people in Portland, Oregon, to combat the 1965 Moynihan Report, which suggested that Black women were responsible for the destruction of Black families. Betye Saar’s Liberation of Aunt Jemima: Cocktail (1973) is also featured. It places Aunt Jemima imagery on a Molotov cocktail as an illusion to the bottling of Black women’s rage. 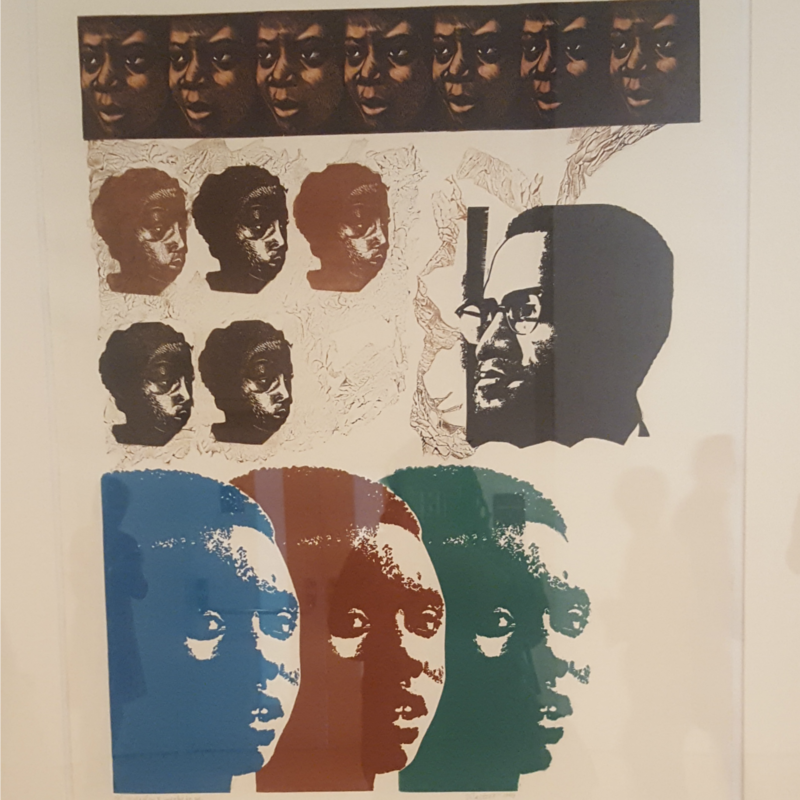 “We Wanted a Revolution” also includes Saar’s Colored Spade (1971), a painful video that shows tropes of Black people transformed into imagery of Black empowerment. There’s also a glass case full of classic magazine covers and newspaper clippings, like the iconic conversation between Audre Lorde and James Baldwin, a copy of Toni Morrison’s seminal 1971 New York Times Magazine piece, “What the Black Woman Thinks About Women’s Lib,” and a profile of Shirley Chisholm during her historic presidential run. The entire exhibit positions Black women as cultural deities deserving of recognition and respect. We should no longer be invisible when we’re in museums. Our contributions are innumerable, immeasurable, and, certainly, not to be disregarded. 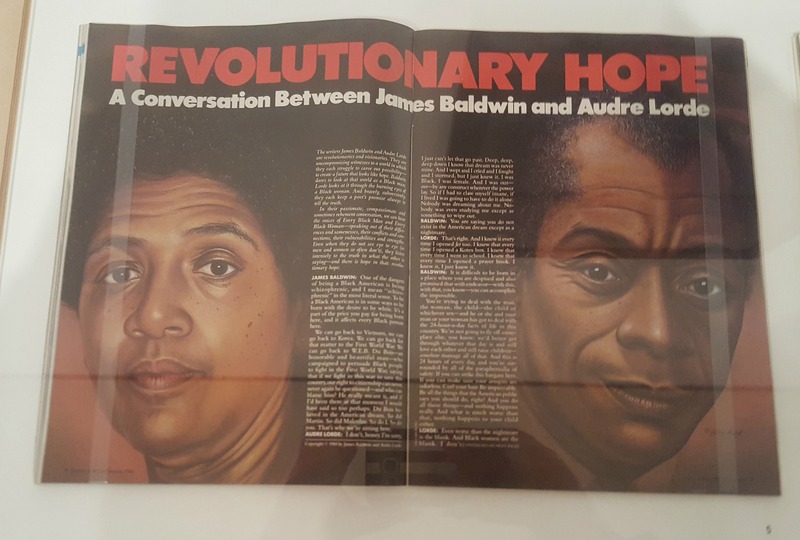 “We Wanted a Revolution: Black Radical Women, 1965–85,” will remain at the Brooklyn Museum until September 17, 2017. It will then move to the California African American Museum in Los Angeles from October 13, 2017 through January 14, 2018; to the Albright-Knox Art Gallery in Buffalo, New York from February 17, 2018 through May 27, 2018; and at the Institute of Contemporary Art/Boston from June 26, 2018 through September 30, 2018.